Middlesbrough Football Club has lost an appeal against a £4.3m damages award after a tackle which ended a promising footballer's career. 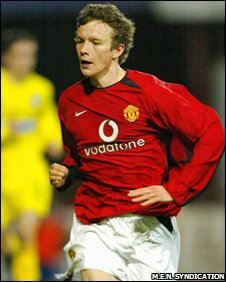 Manchester United youth player Ben Collett's leg was broken in a 2003 reserve game against Middlesbrough. Former Boro player Gary Smith and his club admitted liability, but challenged the amount, saying the then 18-year-old had not yet proved his potential. Their appeal was rejected at Manchester's Civil Courts of Justice. 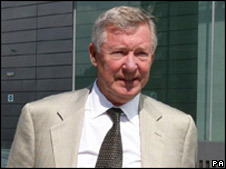 United manager Sir Alex Ferguson and captain Gary Neville were among those who gave evidence at the 2008 hearing to decide the total amount of damages. Sir Alex described Collett as "outstanding", and a series of other footballers and ex-managers suggested he had a future in the game. The court heard he could have earned more than £13,000 a week, and could have played until the age of 35. Sitting at London's High Court, Mrs Justice Swift awarded the player £4.3m and said the final sum payable was unlikely to be less than £4.5m. But at the appeal hearing in Manchester, Andrew Prynne QC, representing Middlesbrough, said Collett might not have made it in the Premier League and could have become a Championship footballer. He also suggested the amount of the award had over-estimated Collett's earning potential if he had gone on to play in either of the top two divisions. Sir Alex Ferguson described Collett's attitude as "magnificent"
But Lady Justice Smith and Lord Justice Carnwath ruled that the compensation for a "lost career" was not excessive. Lady Justice Smith said: "The judge has put into the balance the possibility that the respondent might have done better than she had predicted. "She was entitled to take that view." Collett, now 23, was part of the club's FA Youth Cup-winning team in 2003. He was playing in his first reserve team game for the Old Trafford club that same year when the tackle broke his leg in two places. He has since enrolled at Leeds University, where he is studying English. Gary Smith was released by Middlesbrough and went on to play for MK Dons, before a free transfer to Brentford FC. In May, he was released by Brentford after suffering a long-term ankle problem.